Click the stars to rate your anticipation for this fight. 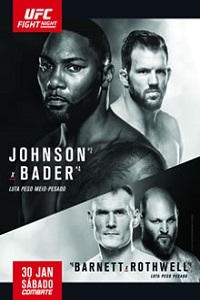 UFC on FOX 18: Johnson vs. Bader takes place on January 30, 2016 at Prudential Center in Newark, New Jersey. Click the stars to rate how good you think UFC on Fox 18 will be.